Rain storms might be nice to look at when inside the comfort of your home. Walking through them without an umbrella, not so much. 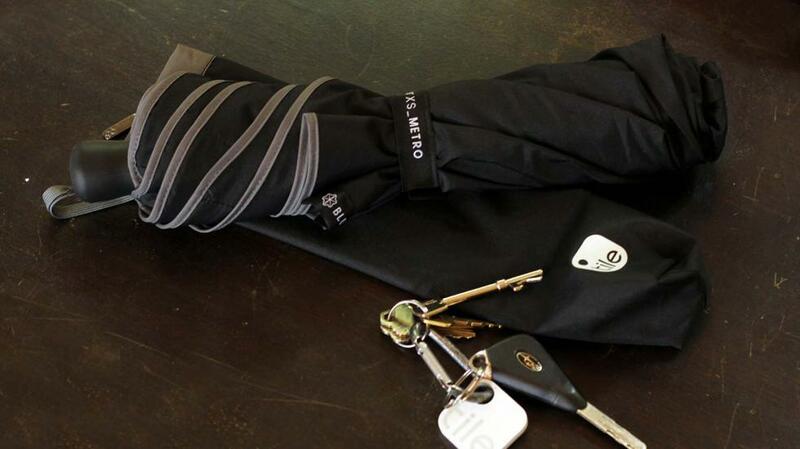 Enter the Blunt + Tile, the world’s first smart umbrella. 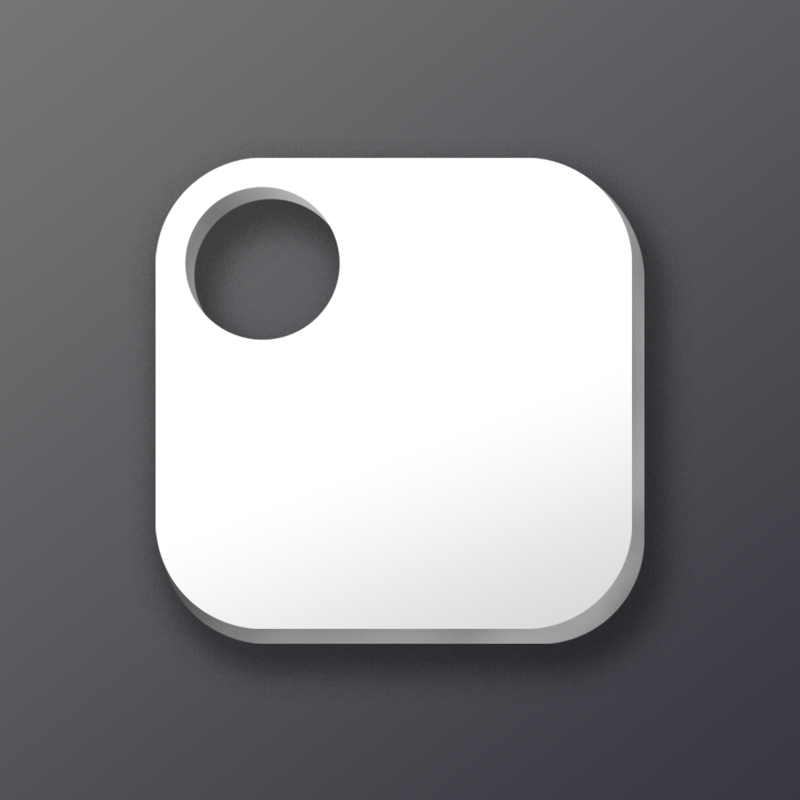 First introduced in 2013, Tiles are tiny devices that can be placed on valuable things like keys or luggage to give users peace of mind knowing their items can always be found. Apple co-founder Steve Wozniak was among Tile’s early backers. Blunt, which was founded in 2009, is the only company on the market that makes umbrellas with fully-tensioned canopies. Its product has been called a “structure that falls between a suspension bridge and a NASA space probe” by The Wall Street Journal. 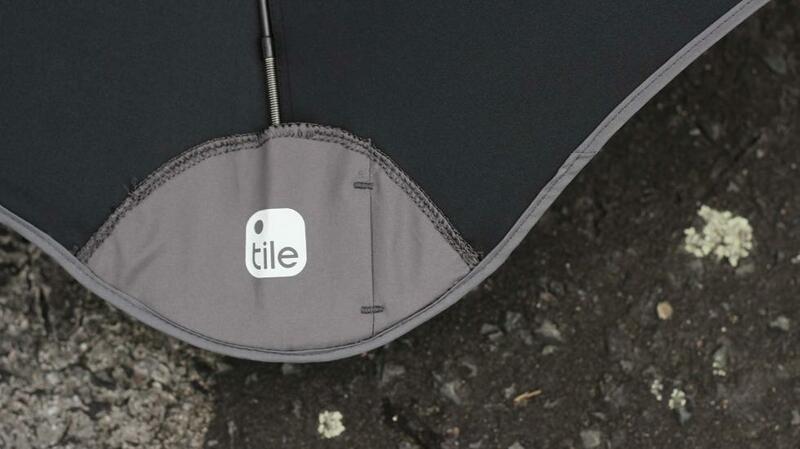 The Blunt + Tile takes the Tile concept a step further, as the umbrella itself is trackable. Upon downloading the free Tile app and registering their umbrella, users can find their Blunt + Tile in several ways. When the Blunt + Tile is within 50 to 100 feet, a user can open the Tile app on their phone and press “Find” to play a tune to help locate it when lost nearby. If a user leaves their umbrella behind, say at a coffee shop, and opens the app sometime later, it will show the Blunt + Tile’s location on a map and the time it was last seen. Additionally, using the Community Find feature, if another user running the Tile app is in that same coffee shop (or within range of anywhere else the Blunt + Tile may have traveled to) the app will send the owner the up-to-date location in real time. This is Tile’s first partnership with a consumer product and we are thrilled to be working with a high-caliber brand like Blunt Umbrellas. Our shared vision for sleek and easy-to-use design align perfectly and we are excited to bring consumers the first ever ‘smart umbrella’ that they’ll never lose again. As an early Tile backer, I can tell you that this is a product that “just works,” as Steve Jobs liked to say. I expect the same from the Blunt + Tile. There are two Blunt + Tile umbrellas available for pre-order today, Oct. 16. Each will be delivered by Dec. 1. Shipping is free in the United States and $15 in Canada. The $65 Blunt XS_Metro + Tile is a folding umbrella small enough to pop into a handbag, but strong enough to withstand winds exceeding 50 mph. 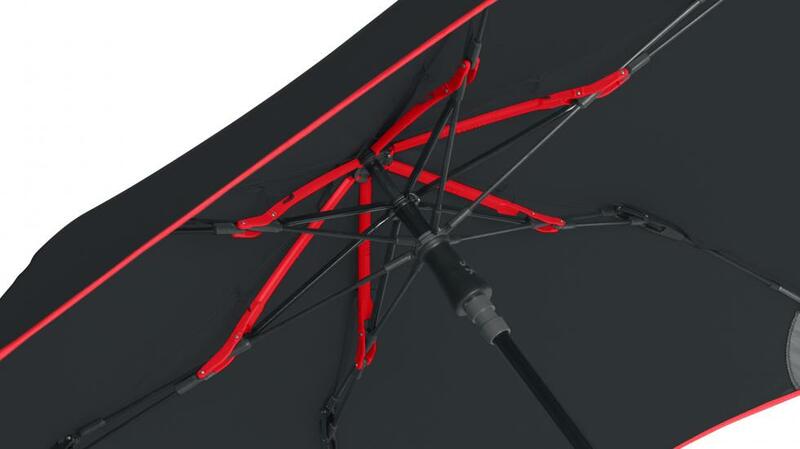 The $99 Blunt Classic + Tile is considered a “street” umbrella and is capable of withstanding winds exceeding 70 mph. Each comes in black with different accents, including gray, blue, and red. You can preorder your Blunt + Tile by following this link. Want to purchase your own tiles? These are available for $20 each or $60 for a pack of four, $120 for eight, and $180 for 12.